A BIT OF A SLOW STARTER BUT ONE WILD RIDE! Hope you all had a great weekend. My next post is a copycat from I don't know where. I saw it last Christmas on the computer somewhere. I think it was on Tipnuts. I had little visitors coming this past weekend, and I wanted to make them something special. Gather your goods and away we go. As it turns out, I didn't have any fruit roll up so I had to use gummy worms. I placed a marshmallow on the graham wafer and microwaved for 7 seconds. This was through trial and error that I figured this out. Every microwave is different so you might have to do a bit of experimenting yourself. They "blow up real good". Lotsa fun!!!! With the second marshmallow, grab a pretzel and poke it in the center. Place it on the melted marshmallow. I cut a wee slice of the gummy worm for the nose. With a few melted chocolate chips and a toothpick, paint on some eyes and a mouth. I really would of preferred to pipe on the chocolate, but my baggie broke and I had to work quickly, so I just used a toothpick. You could also buy those little icings in tubes for this job. I think it would do a neater job, although little mouths don't seem to mind. Yes, those are my pajamas! I had to cut the gummy worm in half as it was just too thick for a scarf. Chocolate up some buttons for him too. They look a little drunk and rowdy, but they were the hit of the party. If I had small children, I'd be all over this one!! Very cute. they are soo cute karen. looks like a lot of work but all worth it. These snowman are so cute! I would love for you to link them up! 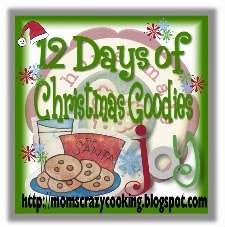 We are hosting a 12 Days of Christmas Goodies and we have a SNOWMAN theme! Come link up if you wish! Hi there. The current Food on Friday is all about Christmas! It would be great if you linked this in. This is the link . Have a good week. Thanks for linking in to Food on Friday: Christmas. We are now getting a great collection of Christmas ideas. A Stone Cottage Birdhouse With Dormers! Use The Search Box For Any Of My Posts! Hi! I'm the Feral Turtle...aka Karen. Come join me as I stumble through my next project, burn a few goodies in the oven, and fall off some scaffolding. My glue gun is plugged in, ready for the next blister! Oh and I make wine too! Unless noted otherwise, all content created exclusively for www.feralturtle.com, 2010-present. Please limit external use to single image files or excerpts of 100 words or less. When using my photos or content, please cite my blog by name and include a direct link. Copying and pasting my posts will be seen as a copyright violation. 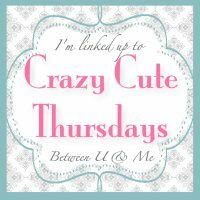 This blog was created for entertainment purposes only. I may be wrong sometimes, but we always have fun! Cheers! Happy New Years! & Recap of 2011.